Taking from our banking background, we will go straight to point. We would like to present a Project already shared in some conversations and here we take the opportunity to say thank you and congratulate the commentators, whose feedback encouraged this step. This Investment-Proposal is well rooted in our field activity, particularly when we designed, managed and evaluated Credit Guarantee Fund/ Trust Fund/ Grant Facility/ Revolving Fund in Tunisia, Bosnia, Caribbean (St. Lucia), Romania, Mali, Albania, Netherlands Antilles (Curacao), Malawi, Algeria, Morocco, Ghana and Russia Federation. JAMBO TWOFOLD OBJECTIVE is to provide financial resources to UNDERSERVED ENTREPRENEURS and assistance to UNDERCAPITALISED LENDERS to achieve common objectives and interest, both of them being undercapitalised. However, JAMBO isn’t just financing but much more: it is a new way to approach the market. In particular, we elaborated on both the Basel III Committee Document on Financial Inclusion and the Goal 8 of UN 2030 Agenda: “Promote inclusive and sustainable growth”. It is worthwhile to note that in the wave of digitalization, the proposed approach is of utmost importance because the basic question isn’t to provide people with a smart Mobile phone or WhatsApp but to have people eligible for its use. Under the particular circumstances, the methodology will guide the interventions in the emerging economies with a well-defined algorithm and appropriate market segmentation, as it has been visualised in the Slide – letters c and d -, which explains the methodology behind the Project. Incidentally, although the FUND specifically refers to the Continent, the Paradigm is viable and valid for the emerging economies and country level as well. In this understanding, if there is a specific request, it can be fitted into the Model. The forty pages of the Project-Document starts from the review of the narrative of Africa’s achievements, from which we detected FUND’s assumptions and justifications along with conclusions highlighting the great opportunities by sustaining the entrepreneurship and in so doing have a positive impact on the communities. – The FUND’s features have been shared with a Group of Professionals https://www.linkedin.com/groups/4682884 and received hundreds of appreciations. – The Business Model has been designed and confirmed by our field activity. – Although the FUND’ horizon is the Continent, initially, the focus will be in Nigeria, Ghana, Kenya, Morocco, Tunisia, Cameroon, Tanzania and Algeria, to be confirmed by the Investors. – The administrative and operational components will be presented as options to validate along with the proposed links with national finance providers, lending & credit policy. – The Investors Committee will select the Fund Manager along with the place to register the business, – in Africa – where le Office shall be located (soft structure). – The operations may be advanced by a field survey in the above-selected Countries, but it may be replaced by our contacts in the Continents: we shall have field trips for round-up meetings with the purpose to come back with a significant portfolio. – The SME/SMI’s market niche has been growing and currently has been estimated at $ 1.5 billion (South-Saharan Regions). – The initial investment for grounding the activities should be above US $ half million. – Besides the ROI, the Investors can benefit from a non-negligible marketing/image return by acting as a development’s actor: https://ascaniograziosi.net/2017/06/01/jambo-fund-the-gateway-to-africas-inclusive-growth/. – At this stage, we are available to provide truly interested Private Investors, Entities, Funding Agencies, Donors, Finance Providers, Banks with additional information they need. In this perspective, we look forward to reading from you: graziosiascanio@aol.com . I am doctor in Economics. I am based in London (+44 7943286549) and Rome (+39 3273211887). I do have a banking background and specialization in Microfinance, Project Management-Monitoring-Evaluation, Risk Fund. 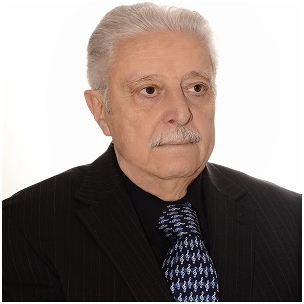 I have accumulated more than 30 years of experience in 28 Countries and collaborated with the major international development organizations such as World Bank Group, Ministry of Foreign Affairs-Italian Co-operation, European Union, Danish Cooperation, FAO, UNDP and Others in East Europe, Caribbean, Central Asia and Africa. Je suis une femme chef d’entreprise et j’ai un projet innovant mais mon grand problème est le financement, j’aimerai bien vous en parler sur mon projet. Je réside en Algérie et mon email est fboulenouar@yahoo.fr. Ascanio Graziosi Blog su WordPress.com.